This is part 2 of our two part series on magnesium (Mg). In PART 1 we discussed the benefits of magnesium on our general health and to prevent the effects of aging. This time around, we’re discussed the effects of magnesium supplements on our athletic performance! How Can Magnesium Influence Our Athletic Performance? As described in part 1, magnesium has a variety of functions in our body- and in particular some of these functions can assist our physical performance in sport. These effects occur in various body tissues, including the nerves, muscles, bones and our cardiovascular system- just to name a few(1-2). Whilst Mg deficiencies are likely to only be minor to moderate(3); the spread of deficiency in athletes is wide. Deficient groups include adolescent tennis players(4-5); male endurance athletes(6); football players(7); rugby players(8); female gymnasts(9); runners(10) and ultra-endurance athletes(11). One of the more apparent influences Mg has on physical performance is from its effect on muscle tissue. The amount of magnesium circulating in the body has been shown to be an independent correlate with muscular performance(12). Another area Mg assists physical performance is related to lactic acid accumulation following intense exercise. The increases in lactate levels when exercising to exhaustion and pummelling the anaerobic glycolytic metabolic system, can be attenuated by the presence of sufficient Mg in the muscle and blood stream(13). This would indicate that taking a Mg supplement, to ensure the body’s concentration of Mg is sustained; would allow you to exercise for longer before lactate levels increase to the extent where you would have to stop. Various game sports (including basketball, handball and volleyball) have been examined to evaluate the effect of magnesium on performance. One particular study(14) examined elite sports people from all three sports mentioned to understand the impact of Mg intake on their performance. For this study a group of athletes were asked to record their 7 day dietary intake prior to the tests to ascertain the current intake of Mg (which was significantly lower than the recommended daily allowance). They were then put through a battery of physical testing procedures, which included maximal isometric trunk flexion, extension and rotation; hand grip strength; repetition maximum squat; countermovement Abalakov jump (countermovement vertical jump WITH arm swing allowed); and maximal isometric hamstring and quadriceps torque. Their findings show that all performance parameters were directly associated with Mg levels in the athlete- meaning more Mg there is available, the better the performance. 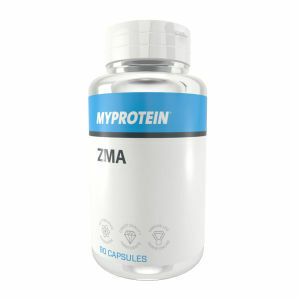 They suggest that increased Mg concentration facilitates muscular performance through improved metabolism and more efficient muscular contraction mechanics. Another study(15) also examined professional, elite volleyball athletes. In this study a group of athletes were randomly assigned to groups for either 350mg/ day of magnesium or placebo (500mg of maltodextrin). They then took this supplement for approximately 4 weeks. The results demonstrated significant reduction in lactate production and up to 3cm greater height in a countermovement jump test (compared to placebo where there was no change). This again supports the importance of Mg in both performance of exercise to fatigue and the subsequent performance improvements from reduced lactic acid accumulation. In a fantastic study by Lindsy Kass’s research group in 2013(17), the effects of Mg supplementation on post exercise recovery and performance were evaluated. A group of 16 healthy, active males (approximately 21 years old) were provided either 300mg of Mg oxide per day or allocated to a control group, and were followed for a period of 2 weeks. They then measured blood pressure prior to a bout of acute exercise which involved a 30 minute maximal cycling test and an isometric bench press (3 X 5 second holds). Their results indicated that the group supplemented with magnesium had a significant reduction in systolic blood pressure at rest (8.9mmHg) and following the exercise tests (13mmHg). They found that blood pressure remained significantly lower during the recovery period post exercise. This may indicate better cardiovascular efficiency during exercise and improved recovery capacity following a bout of intense training. However, this is not the extent of the benefits this mineral has on strength training. A study was undertaken on a group of young men undertaking a strength training programme for 7 weeks(18). The benefits of 8mg/ kg of body weight per participant were compared to placebo. In the group taking a magnesium supplement, 20% greater knee extension torque was seen at the conclusion of the study. This significant increase in quadriceps strength showed that 250mg per day facilitated strength gains; but these gains were even more prominent with intakes >500mg per day. 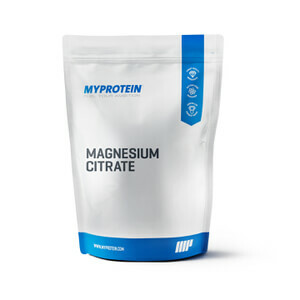 It also emphasises the role magnesium can play in glycolytic metabolism. Judo competitions are closely linked to deficits in a number of minerals and vitamins secondary to the dramatic weight changes associated with “weight cutting” for tournaments. The modification of weight via dehydration in elite judoka was examined in a study(16) of 20 participants. This study divided the group into those who lost less than 2% of intracellular water, and those lost 2% or more- in effect larger and smaller levels of dehydration to cut weight. Then the researchers measured the amounts of Mg in blood circulation and in urine; followed by performance indicators (maximal grip strength and bench press 1RM). Their results showed that greater losses of water (and reductions in serum Mg) were associated with greater reductions in strength. However, in some athletes red blood cells increased their Mg concentration to compensate and attenuate performance reduction. 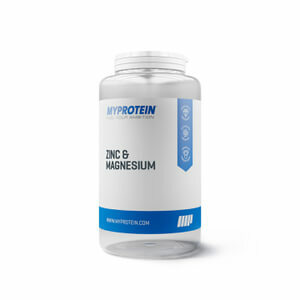 This would highlight the negative effect of low magnesium on physical performance, whilst also showing that the intentional loss of water weight during weight cutting procedures in martial artists may lead to both Mg deficiency and poor performance. The toelerable intake levels for supplementary magnesium are different and in children this would reduce to 65mg between ages 1-3, 110mg for ages 4-8, 350mg for ages 9-18, and 350mg for 19 years +(46). Dosages of >5000mg/ day are associated with toxicity(21). Toxicity of magnesium is generally prevented in healthy individuals as the kidneys eliminate excess Mg in urine (22); however dosages beyond 5000mg per day have been associated with mortality in both children (23) and older adults (24). Normal side effects from high dose consumption is diarrhea, nausea and abdominal cramping. This is particularly evident with high doses of magnesium carbonate, chloride, oxide and gluconate (25). The laxative effect of excessive consumption is due to magnesium salts being unabsorbed in the intestine and colon, which modifies movement of fluids and stimulates gastric motility. Symptoms of potential toxicity include hypotension, nausea, vomiting, facial flushing, urinary retention (not being able to fully empty your bladder), lethargy and muscle weakness, breathing difficulties and cardiac arrest(22). ✗ Caution should be taken with supplementation in the presence of impaired renal function (kidney disease) due to the inability to remove excess magnesium (22). ✗ Another consideration is the impact of magnesium supplementation when taking other medications. For example, magnesium supplementation should be separated from the use of oral biphosphonates (used to treat osteoporosis) by 2 hours to prevent dampening the effect of the medication (26). ✗ Additionally anti-biotic medications from the tetracycline family (e.g. doxycycline) should be taken either 2 hours prior to, or 6 hours following a magnesium supplement (27). Medications such as potassium-sparing diuretics (e.g. spironolactone) will reduce frequency of urination and reduce excretion of magnesium- therefore caution should be taken to avoid toxicity. Hopefully by now you can see that magnesium is not only important for general health, but also an effective ergogenic aid if you suffer from deficiency. Either by blood test measurement or by recording your intake over 7 days, you can find out if you are one of the many who do not have sufficient amounts of this key mineral. And if you are… Make sure you up your intake! United StatesDepartment ofHealth and Human Services, National Institutes of Health, Office of Dietary Supplements. 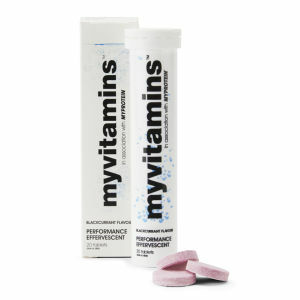 Available from: http://ods.od.nih.gov/factsheets/Magnesium-HealthProfessional/#h2. Accessed 6 Feb 2015. Volpe SL. Magnesium in disease prevention and overall health. Adv. Nutr. 2013; 4:378SY83. Volpe, S.L., 2015. Magnesium and the Athlete. Current sports medicine reports, 14(4), pp.279-283. Juzwiak CR, Amancio OM, VitalleMS, et al. Body composition and nutritional profile of male adolescent tennis players.J. Sports Sci. 2008; 26:1209Y17. Wierniuk A,Waodarek D. Estimation of energy and nutritional intake of young men practicing aerobic sports. Rocz. Panstw. Zakl. Hig. 2013; 64:143Y8. Noda Y, Iide K, Masuda R, et al. Nutrient intake and blood iron status of male collegiate soccer players. Asia Pac. J. Clin. Nutr. 2009; 18:344Y50. Imamura H, Iide K, Yoshimura Y, et al. Nutrient intake, serum lipids and iron status of colligiate rugby players. J. Int. Soc. Sports Nutr. 2013; 10:9. Silva MR, Paiva T. Low energy availability and low body fat of female gymnasts before an international competition. Eur. J. Sport Sci. 2014; 16:1Y9. Czaja J, Lebiedzicska A, Marszaaa M, Szefer P. Evaluation for magnesium and vitamin B6 supplementation among Polish elite athletes. Rocz. Panstw. Zakl. Hig. 2011; 62:413Y8. Setaro L, Santos-Silva PR, Nakano EY, et al. Magnesium status and the physical performance of volleyball players: effects of magnesium supplementation. J. Sports Sci. 2014; 32:438Y45. Golf SW, Bohmer D, Nowacki PE. Is magnesium a limiting factor in competitive exercise? A summary of relevant scientific data. In: Golf S, Dralle D, Vecchiet L, eds. Magnesium. London: John Libbey & Co, 1993:209. Musso CG Magnesium metabolism in health and disease. Int Urol Nephrol 2009;41:357-62. McGuire JK, Kulkarni MS, Baden HP. Fatal hypermagnesemia in a child treated with megavitamin/megamineral therapy. Pediatrics 2000;105:E18. Onishi S, Yoshino S. Cathartic-induced fatal hypermagnesemia in the elderly. Intern Med 2006;45:207-10.